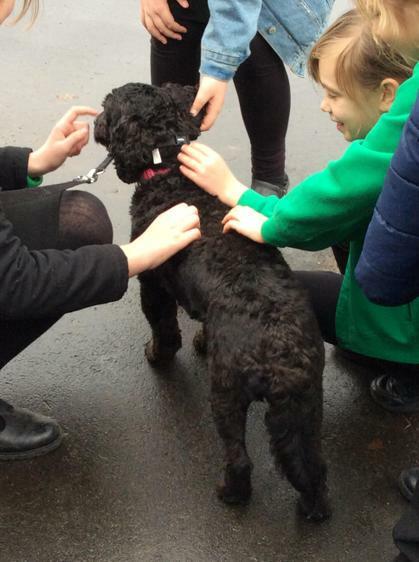 Meet Cessy - she is our school dog. Cessy is a gentle and friendly black cockerpoo. She belongs to Ms Parks but comes to visit us often and soon she will be staying for the mornings, taking walks with us and joining in playtime. 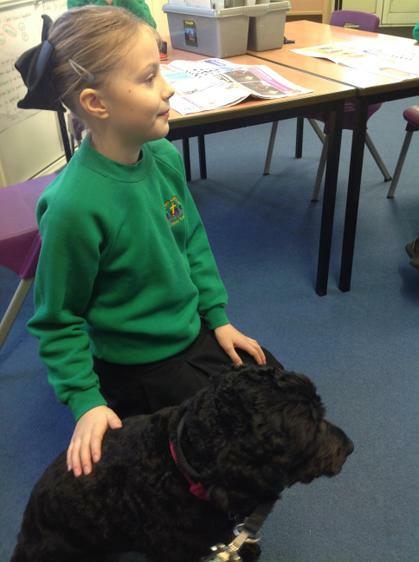 Cessy loves to make friends and she has been having a wonderful time getting to know the adults and children in the school, especially Wrens class where she currently spends lots of her time. 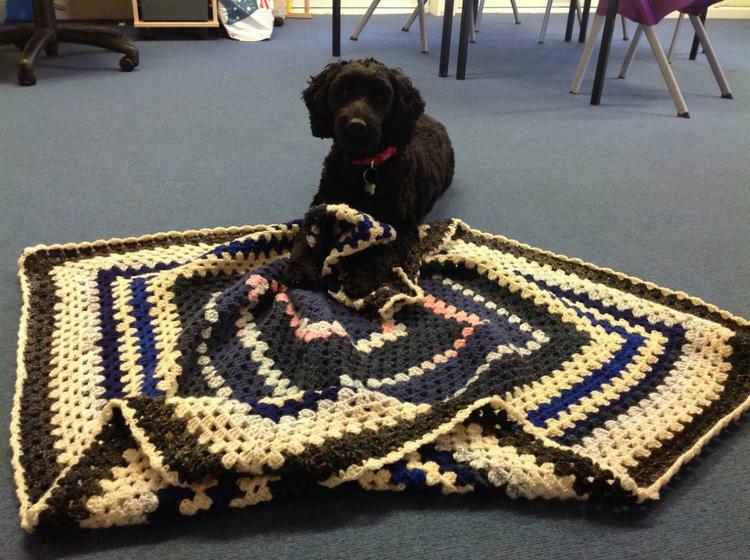 Favourite blanket: The gorgeous crocheted blanket made by Mrs Bennett (see photos). Did you know? : Cessy is named after a village in France - see if you can find it on a map. 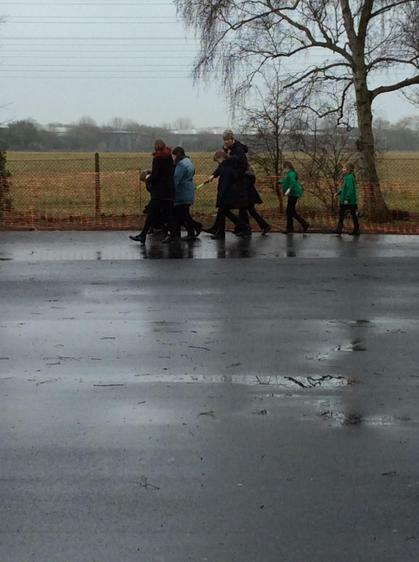 Here are a few photos of Cessy in school - come back another day to see more as we update them regularly. To help Cessy feel safe and happy in school, we all must follow these rules. We only touch Cessy with permission from an adult. We treat Cessy kindly and respectfully. We always use quiet voices near Cessy. We walk or sit near Cessy. We keep our heads higher than Cessy’s head. We make sure Cessy has plenty of room to move around. 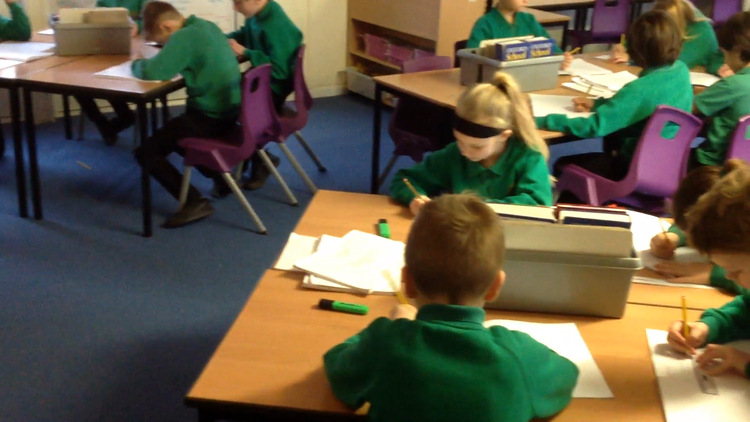 We give Cessy clear, one word instructions e.g. ‘sit’, ‘down’, ‘no’. We wash our hands after touching Cessy. Across the country, dogs are increasingly being welcomed in to schools and hospitals as the social and emotional health benefits they bring are vast. 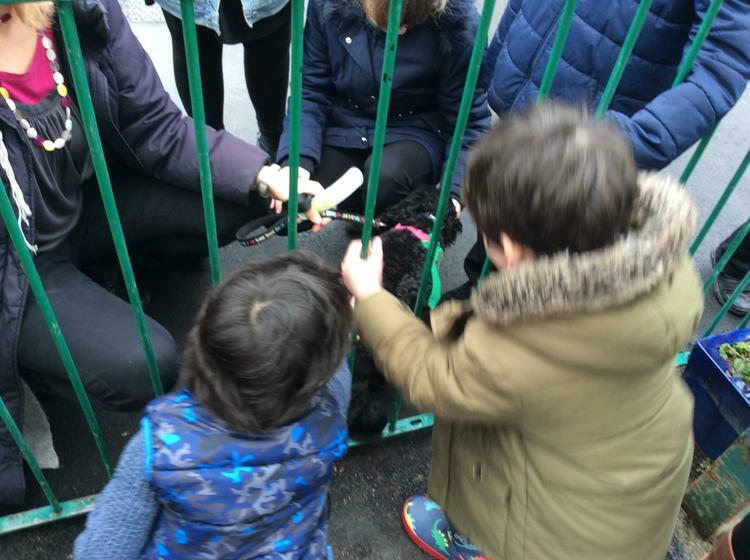 Organisations such as Dogs for Good and Dogs Helping Kids believe there is significant potential for dogs to help young people in a range of educational environments, bringing benefits to their academic, emotional and social development. 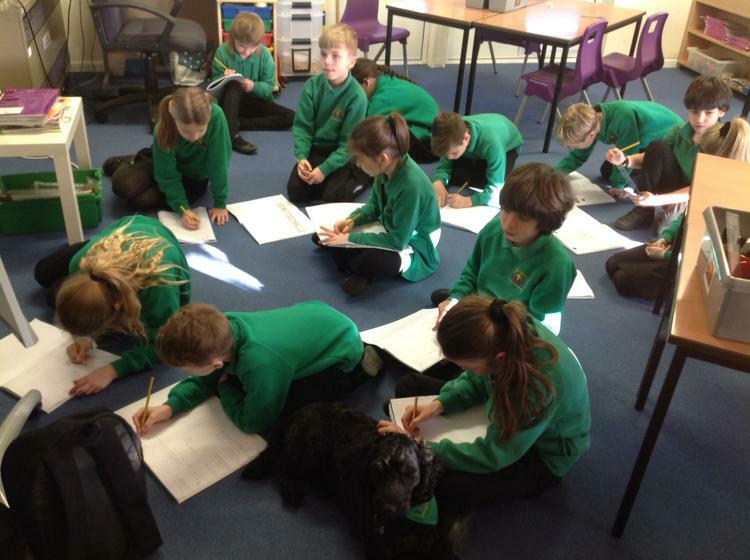 Many local primary and secondary schools (including St Birinus and John Mason) have recently welcomed a dog into school life and when we learnt about the benefits we thought it would be a great idea for our children too. 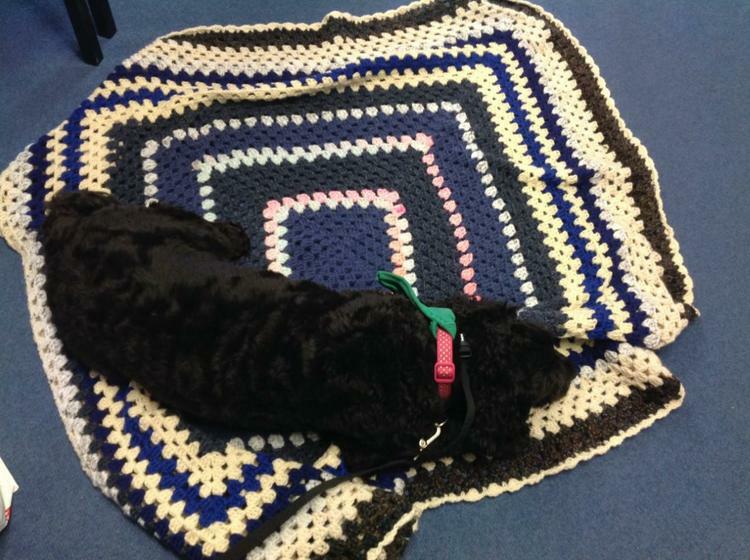 Cognitive – companionship with a dog stimulates memory, problem-solving and game playing. 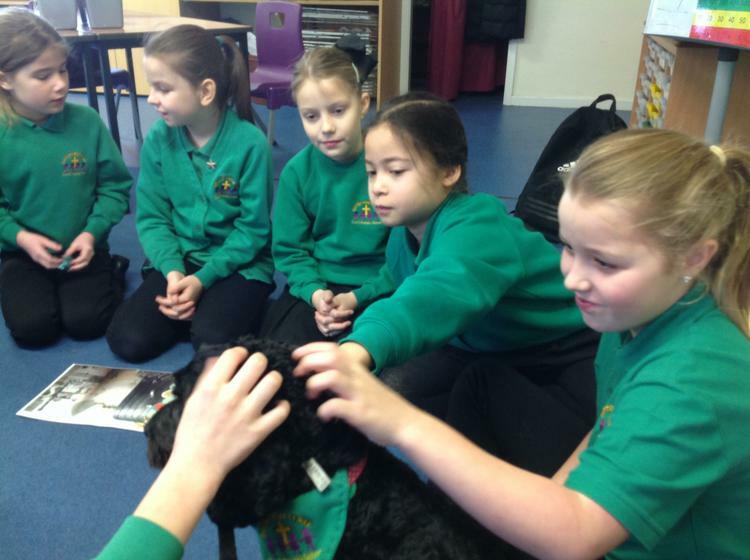 Social – a dog provides a positive mutual topic for discussion amongst children, encourages responsibility, wellbeing and focused interaction with others. 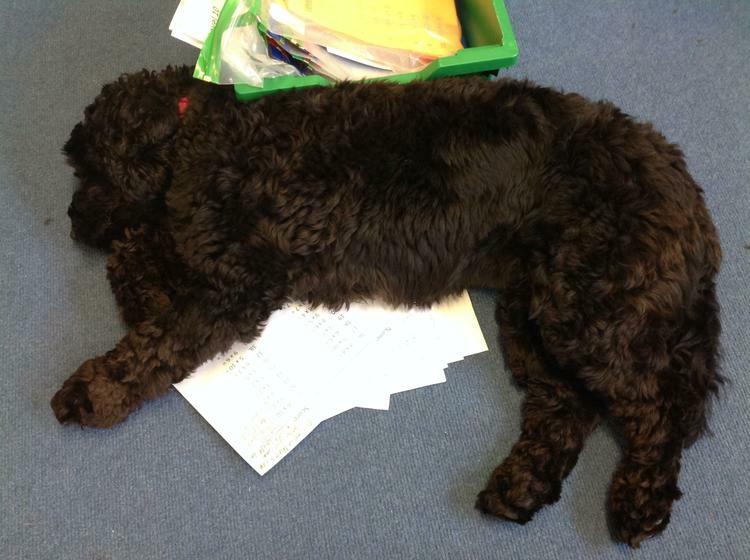 Emotional – a school dog improves self-esteem, acceptance from others and lifts moods, often provoking laughter and fun. Dogs can teach compassion and respect for other living things as well as relieving anxiety (see RSPCA Compassionate Class campaign). Physical – Interaction with a furry friend reduces blood pressure, provides tactile stimulation, assists with pain management, gives motivation to move, walk and stimulate the senses. 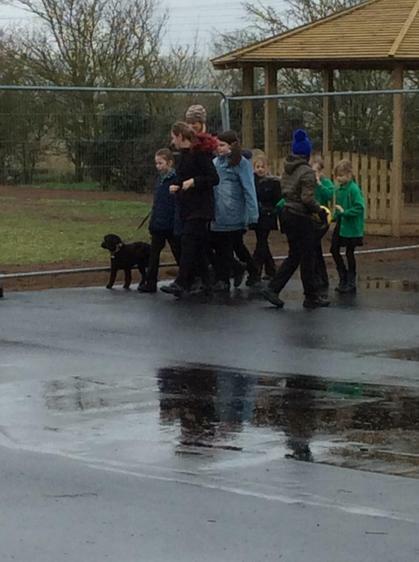 Community – a dog in school increases the sense of a family environment, with all of the above benefits continuing long after the school day is over. 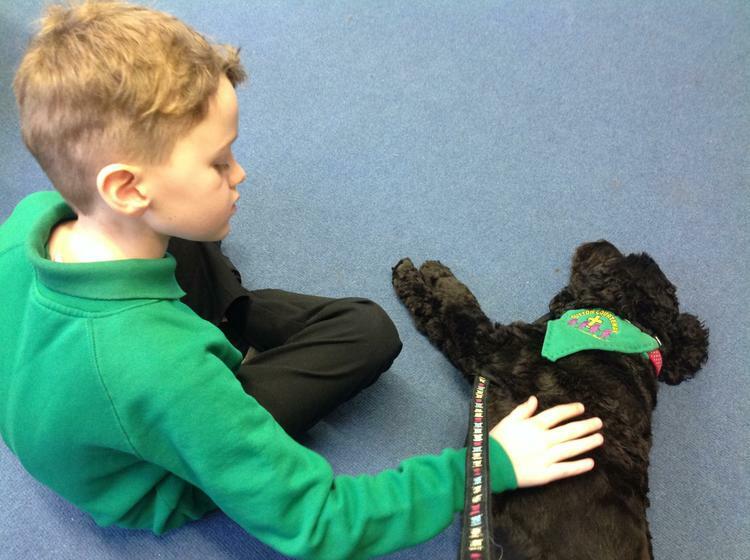 Motivational – spending time with a school dog (whether petting, walking or reading to it) gives children the motivation to stay focused and on task. We chose Cessy because we know she is trained, good-nartured, friendly and gentle. She is used to being around children on a daily basis and is always keen to make new friends. She is healthy and happy and has regular visits to her vet to make sure she is in good shape and fit to spend time in school.